FotoWeekDC’s 5th Annual International Awards Competition is looking for extraordinary images – we’re looking for yours! The 2012 competition will honor professional and emerging photographers from our region and from around the world. 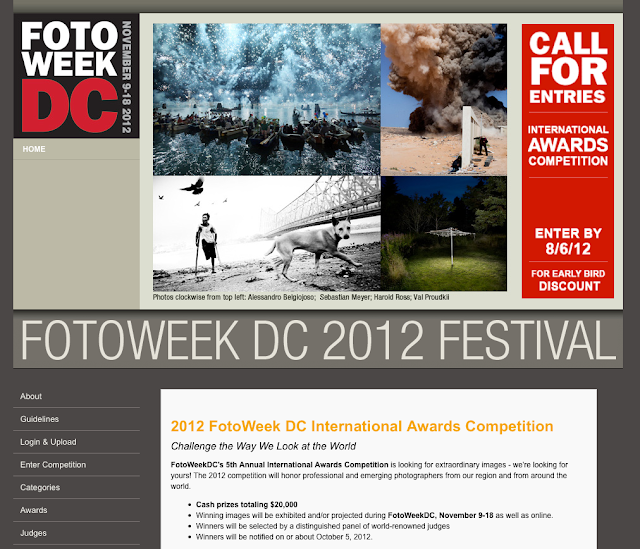 Winning images will be exhibited and/or projected during FotoWeekDC, November 9-18 as well as online. I have a really full fall, teaching in Los Angeles at the Julia Dean Photo Workshops, but also teaching and reviewing at a variety of photo events around the country, so thought I’d share my schedule in case you happen to be in the area! The expansion of photography festivals only reflects our growing community and lucky for us that we can benefit from the exposure, the education, the ability to share work and make new connections. Fall classes at the Julia Dean Photo Workshops can be found here. I will also be at the Santa Fe Workshops next spring (I believe the 3rd week of March), again teaching, The Big Picture. Details to follow. In San Diego, from September 6-8th, the inaugural launch of the Medium Festival Of Photography will kick off with a keynote lecture by Alec Soth, speaking on Sept 6th. 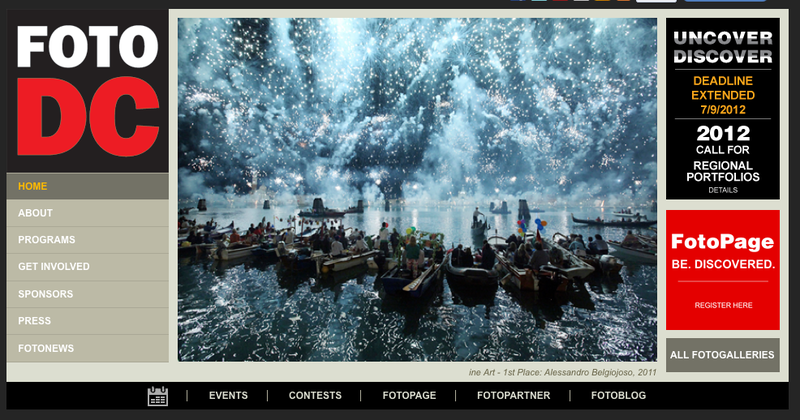 The festival includes workshops, lectures, artist lectures, portfolio reviews, and exhibitions. I will be reviewing and be teaching the workshop, Preparing for Portfolio Reviews on September 7th. Filter Photo Festival takes place in Chicago and is a week long festival with lectures, workshops, portfolio reviews, exhibitions, and connections. The keynote speaker will be the compelling, Brian Ulrich, on Thursday, October 18th. I will be reviewing at the event and teaching The Art of Presentation: Showing your work to the fine art market (presented by the Santa Fe workshops) on Wednesday, October 16th, from 9am-1pm. This workshop will get you ready for reviews and help you contextualize your work in the fine art world. There are also terrific workshops in addition to mine, lectures, portfolio reviews, and lots of connecting and celebrating of photography. This year The Center for Fine Art Photography in Fort Collins, CO will be hosting the SPE Southwest regional conference. Running from November 1st-5th, It will be 4-5 days filled with lectures, artist presentations, exhibitions, and networking. More specific programing to follow. I will be giving an artist’s lecture, will have a solo exhibition at the Center for Fine Art Photography, will be giving a workshop, and participating as a reviewer for SPE. SPE events are open to ALL photographers, and they are incredibly informative and interesting. The keynote speak of this year’s event is the amazing Phillip Toledano. Foto DC is a week long event from November 9-18th that is filled with exhibitions, workshops, lectures, and portfolio reviews. On Sunday, November 11th, I will be teaching a workshop for emerging photographers on how to create a fine art portfolio. PhotoNOLA is an annual festival of photography in New Orleans, coordinated by the New Orleans Photo Alliance in partnership with galleries, museums and photographers citywide. Museum. Many events are free and open to the public. Portfolio Review registration will open on September 5, and the reviewers list will be announced in August. 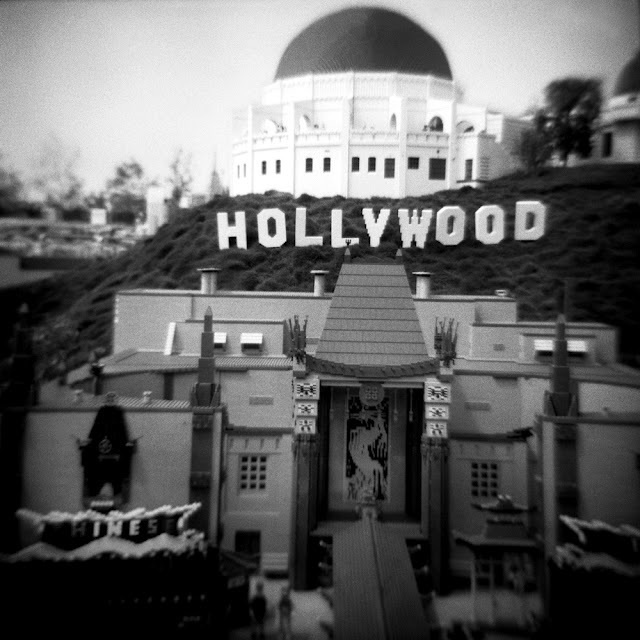 I will be teaching a workshop and reviewing at PhotoNOLA this year. Dates and details to follow. Hope to see you somewhere! This entry was posted in Contemporary Photography, L E N S C R A T C H, Uncategorized and tagged Alec Soth, Aline, Artist Lectures, Awards Competition, Big Picture, Brian Ulrich, Cash Prizes, Contemporary Photography, Creative Photography, Educational Opportunities, Festivals, Hollywood Los Angeles, Independent Organization, Innovative Photography, International Awards, International Competition, Julia Dean, Keynote, Keynote Speaker, Launch, Lego, Location Link, Mid Level, Photo Events, Photo Festival, Photo Workshops, Photographer, Photographers, Photographs, Photography., Portfolio Reviews, Professional Photographers, Rich Dimension, Santa Fe Workshops, Smithson, Southern California on August 19, 2012 by Aline - lenscratch.blogspot.com/.